The apartment is accessed via an external brick staircase (with railings) around the back of the Maltings. There is an entrance lobby where bicycles and prams may be stored. Once inside the Maltings there is a further flight of stairs to reach number 4 on the second floor. Please note there is a further apartment above. Open-plan kitchen, dining and sitting area with three windows giving stunning views across the harbour. Kitchen: fitted cream units and well-equipped with all integral appliances which include an electric oven, induction hob, combi microwave, fridge, freezer and washer/dryer. Dining area: overlooks the harbour and has a glass dining table with four comfortable dining chairs, and an illuminated display cabinet. Sitting area: overlooks the harbour with a large comfy corner sofa, two armchairs, coffee table, freeview digital flatscreen wall-mounted TV and an electric flame-effect fire. Bedroom 1: Has a lovely harbour view from the side window. With a king-size bed, bedside lamps, built-in dressing table & stool, TV, built-in wardrobe with mirrored doors. Bedroom 2: With a double bed, bedside tables and lamps, wardrobe and chest of drawers. Shower room: With a shower cubicle, hand basin, heated towel rail and WC. There is the advantage of a designated parking space for one car in nearby Tunns Yard. 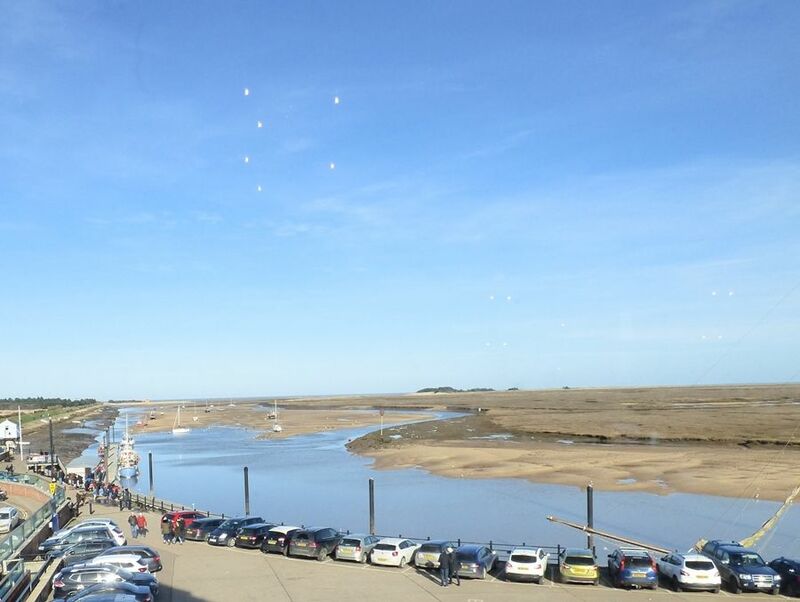 It is literally steps to the quay and a short walk to the great selection of shops and places to eat in Wells-next-the-Sea. Please note that this property is not suitable for young children.